This is usually a BIG day on the calendar, that MOST sports fans look forward to ALL summer, but for Jets fans today is the day for FALSE optimism. The veterans on the Jets will report to training camp later today as they begin their PREP for the 2018 season which can go EITHER way. 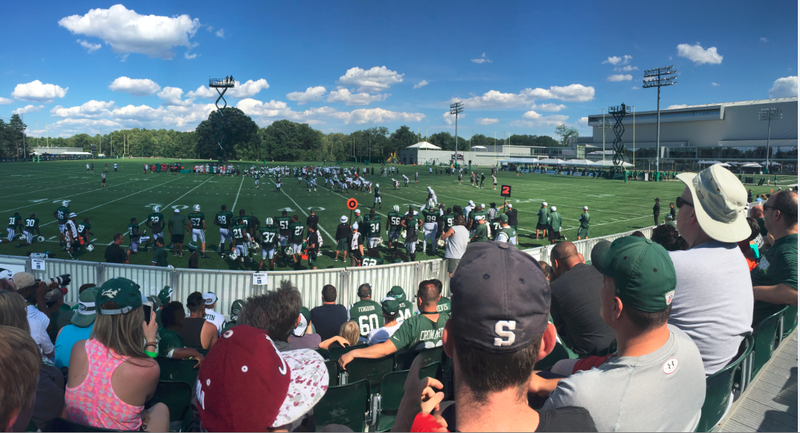 This is the SEVENTH year in a row that the Jets coming into training camp WITHOUT a playoff season in the PRIOR season and I expect that trend to CONTINUE this season. They are currently in the MIDDLE of rebuilding process and despite them having some GREAT young talent, this year is NOT going to end WELL for the New York Football Jets. The Jets drafted Sam Darnold in the FIRST round of the NFL Draft, which has EXCITED Jets fans but he has NOT yet signed his contract and did NOT report to camp when the other rookies reported. Practices do NOT start till tomorrow, so I am NOT yet panicked about him being ABSENT from camp but if he has NOT reported by Monday, than I will push the PANIC button. Darnold is the BIG excitement piece for the Jets going into the season, but UNLESS he lights up training camp, he is going to start the regular season on the bench so we will have to WAIT and see how he pans out. In order to light up training camp, he has to be there so the LITTLE percentage chance of him being the starter on Week 1 is DWINDLING every day that he does not show up. I fully RESPECT every player in the NFL holding out as much as they can to get the MOST money they can to SECURE their future, but at some point he has to accept the deal that is on the table right now and show up to camp. Darnold had a TERRIBLE season at USC last season and so he has a TON to prove this preseason leading into the regular season but him being ABSENT does not help him gain confidence with his receivers. This is a BIG year for the Jets as if they are TRASH again, they will be CLEANING house after the season. Darnold is the THIRD quarterback drafted by this Jets REGIME, the other two (Bryce Petty and Christian Hackenberg) are NOT on the roster going into 2018 so Darnold panning out is the LAST lifeline for the Jets REGIME to SAVE their jobs. The Jets have some GREAT young players like Marcus Maye, Leonard Williams, and Jamal Adams and this is a BIG year for them. Even though I do NOT expect the Jets to be good this season, but if the defense is LIGHTS OUT and the offense is halfway decent, they might be able to play some meaningful games in November and BEYOND. EVERY Jet fans get excited for football season around this time EVERY year before their hopes are CRUSHED in September so ENJOY the FALSE optimism before the house comes CRASHING very SOON. Despite the Jets probably being TRASH this season, I am still excited about football season and I will have a MEGA preview of the NFL and College Football season which will start in the MIDDLE of August and will go till the FIRST day of the Regular season, it CANNOT come SOON ENOUGH.